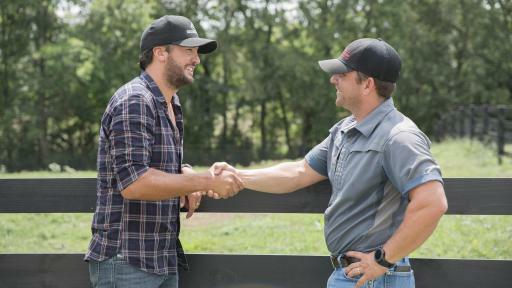 Whippany, N.J. – September 12, 2017 – Country music superstar Luke Bryan is no stranger to celebrating America’s hard-working farmers. 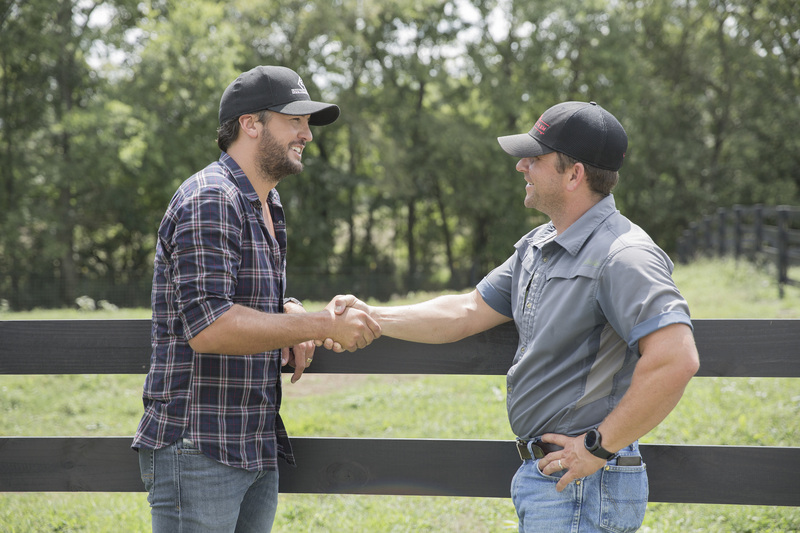 At this year’s Bayer Presents Luke Bryan Farm Tour, tour sponsor Bayer will join him in toasting U.S. farmers with its Here’s To The Farmer campaign. Bryan, the son of a peanut farmer from Georgia, launched his annual Farm Tour in 2009 as a way to highlight and celebrate the contributions of America’s farmers. 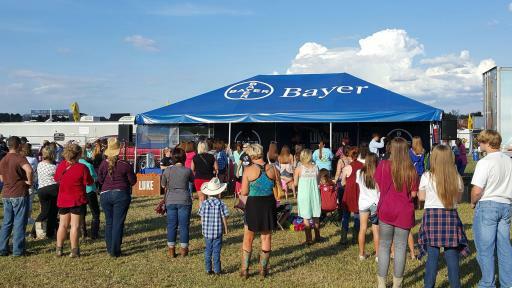 Bayer, a world leader in innovation and agriculture, is the title sponsor of the tour for the third consecutive year and will highlight its Here’s To The Farmer campaign which asks fans to share #HeresToTheFarmer online to show their gratitude to America’s farmers. For every share, Bayer will donate a meal* to someone in need through Feeding America®. 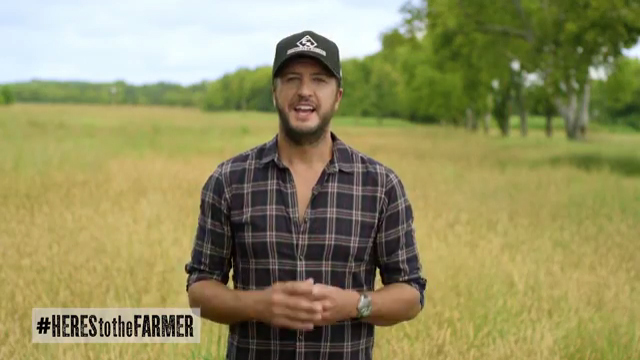 “Last year, Bayer and Luke donated 500,000 meals. With the help of Luke’s fans across the country sharing #HeresToTheFarmer, I know we’ll be able to reach our new goal of donating 1 million meals to fight hunger right here in America,” said Ray Kerins, Senior Vice President of Corporate Affairs for Bayer. Bayer’s Here’s To The Farmer campaign will also help tackle hunger locally by donating more than $10,000 to area food banks, and by honoring a local farmer on stage with Bryan at each location. 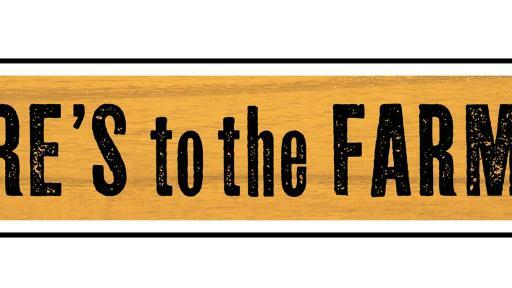 Celebrate farmers this harvest season! “America’s farmers work tremendously hard to give all of us safe, affordable and nutritious food. What better way to show our appreciation to them than by providing some great country music and raising a glass with Luke Bryan to say, ‘Here’s To The Farmer,’ ” Kerins said. To learn more about Bayer’s Here’s To The Farmer campaign visit www.herestothefarmer.com. * $1 helps provide 11 meals secured by Feeding America on behalf of local member food banks. Bayer provided the financial equivalent of 1,000,000 meals in conjunction with the promotion from 09/21/2017 to 10/31/2017.